If you haven’t been around very long, here’s the room I started with a year ago. The walls and the carpet were beige, and I had a door, an unremarkable window, and a closet. 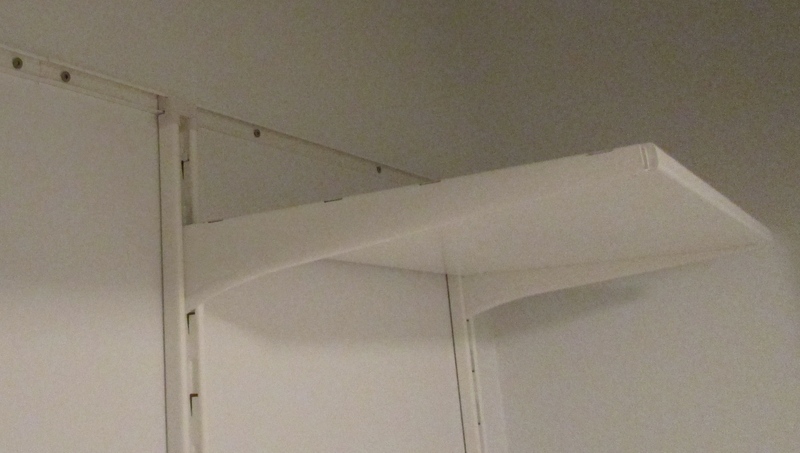 The closet had doors and a single wire shelf inside. It was nearly useless and it took too much space, which I didn’t have much of to begin with. I took the doors out over my winter break, I think. That helped a bit, but the closet wasn’t much to look at. I tried my best, but the bones of the room were hard to work with and replacing a doorknob wasn’t going to change that. So this summer, I upended my whole room, resulting in my having to sleep in my sisters room for a while. 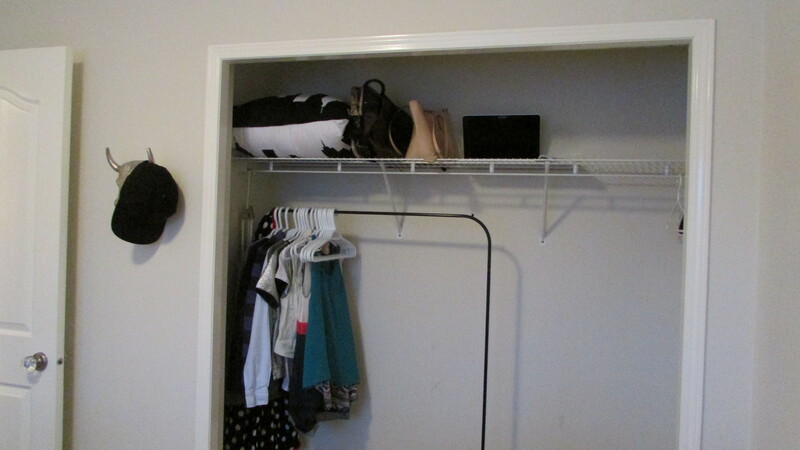 The two major things I wanted to change were the walls and the closet. I started with the closet and took out the wire shelf. 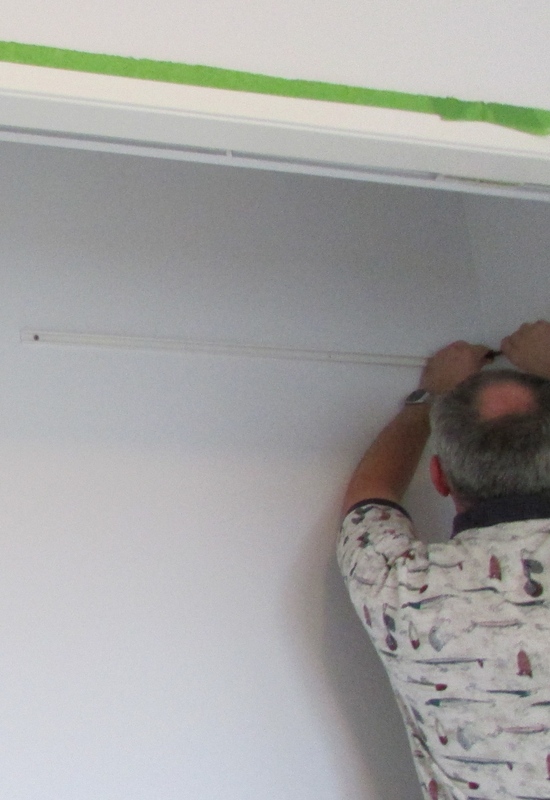 It hadn’t been installed properly and took out half the wall with it. So I patched up the wall. 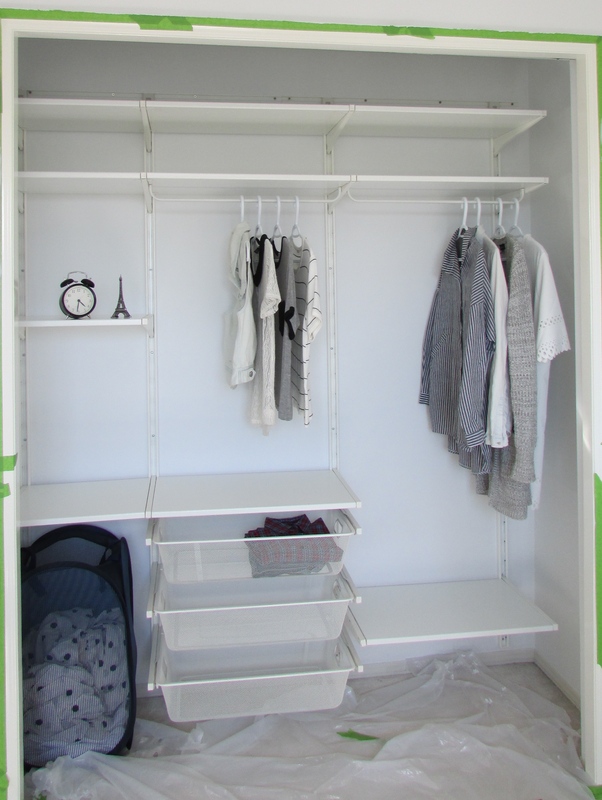 Fast-forward a bit and after painting it all white, I installed IKEA’s Algot system with some help from my dad, which took some planning but it worked out beautifully. 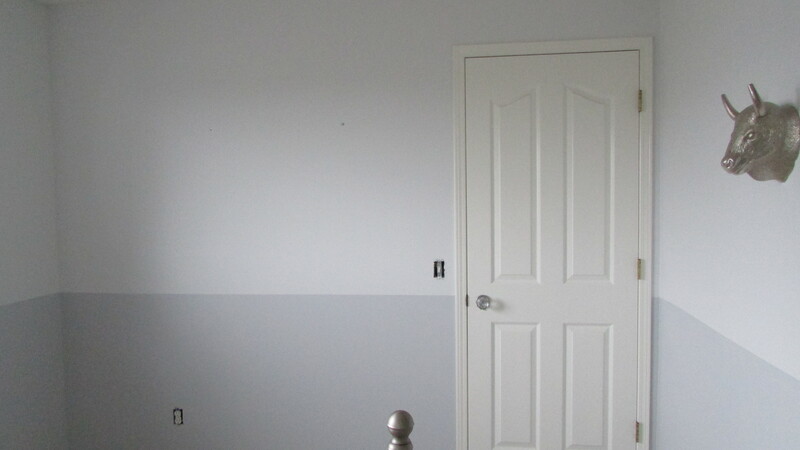 I painted the walls white and grey. 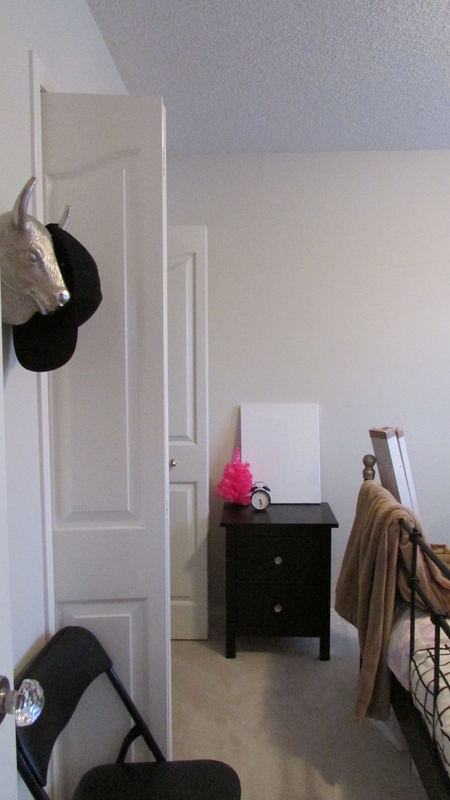 The top 60% is Ultra White from Benjamin Moore and the bottom 40% is Grey Cloud also by Benjamin Moore. 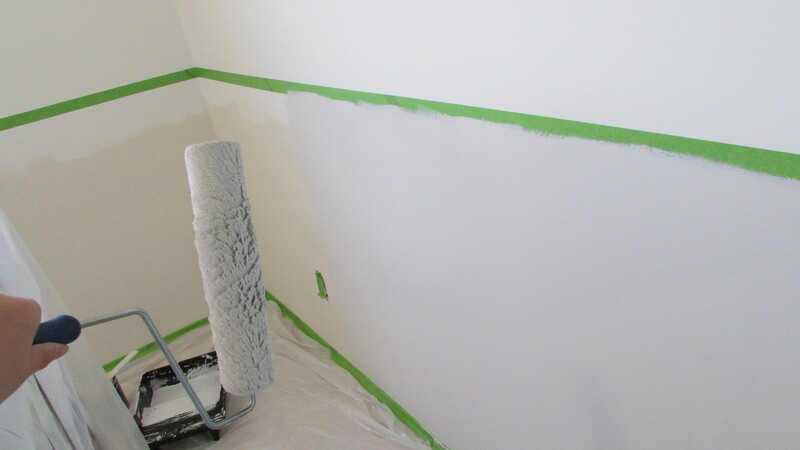 I did the white first, taking the paint below where I planned to start the grey. 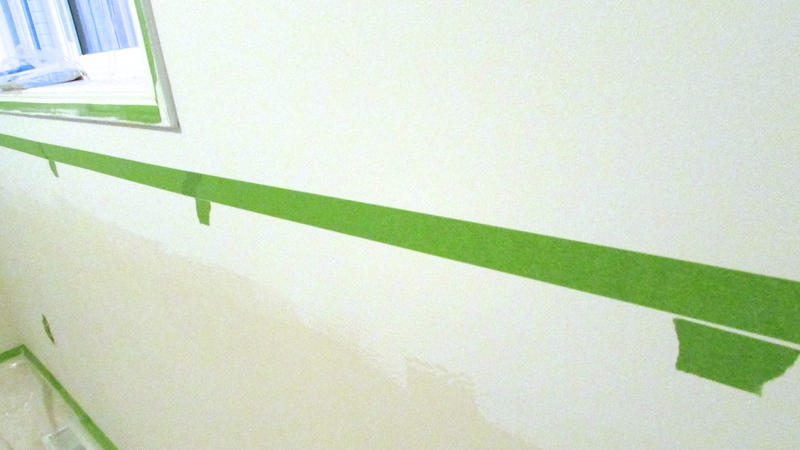 After two coats and waiting for it to dry, I taped a stripe of tape at 3 feet. I had planned to put it at 4 feet, but I’m glad I did three so it feels more like I’m wading through the grey rather than drowning in it. The colours compliment each other far better than I had hoped. So I’ve done it. My walls and my closet. I also made the decision to put my bed in the corner. My design hero, Rebecca Robeson, is always talking about symmetry in her YouTube videos, but my room is small and she and I have different tastes anyway, so I opted for an arrangement a little more utilitarian. I also added a huge floor-length mirror because a) it was looking a little awkward in our living room and b) it actually fit into my room plan perfectly. I love how my bed frame put together with the mirror and the new closet create a beautiful wardrobe corner for me to plan outfits and take selfies! My room looks like a dream. After a month of hard work, I can finally sleep in it again. I’m still working on the details, but my room is really coming together and I couldn’t be happier with it. Starting out, I wasn’t entirely sure how I wanted it to look. I’m twenty and still live with my parents, and all I knew was that I wanted my room to feel like my own little apartment instead of just a bedroom. 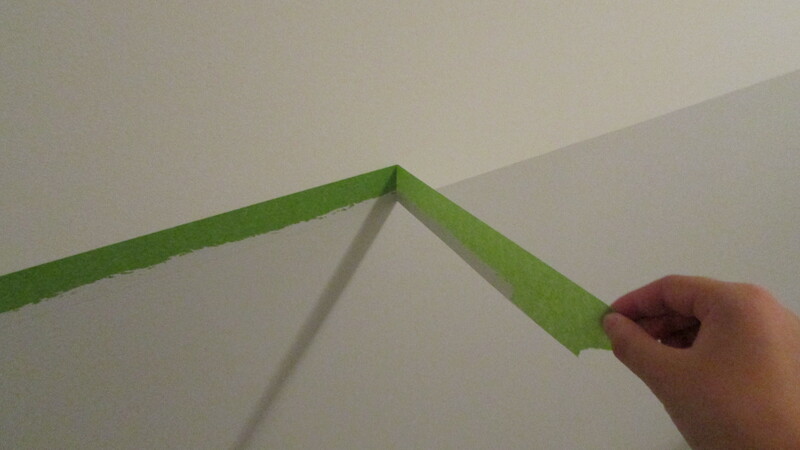 The paint made a huge difference, and so did my bed frame, surprisingly. Once I put my desk in, I’ll have a sleeping space, wardrobe space, and working space. I can’t wait to share more with you guys in the future. Well, what do you think? Comment below!